Wedding Dessert 101 with Cream & Flutter! Whether you are looking for an artistic custom cake or a dessert table of cult favorites (think: gooey salted caramel brownie bites and the moistest red velvet cupcakes you have ever tasted), we deliver everything with a critical eye for perfect presentation. 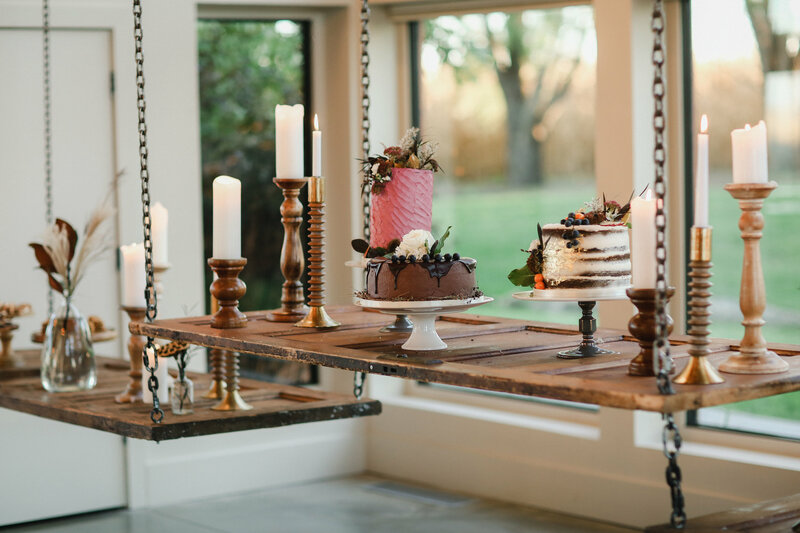 Cream & Flutter is one of Engaged Asheville’s newest members, and we are so excited to share more of their creations… their wedding cakes and dessert table spreads are things of pure magic y’all! So, to help you get acquainted, we are sharing a little more about how best to work with them for your special event! At Cream & Flutter, we believe your wedding dessert should be both beautiful and insanely delicious. 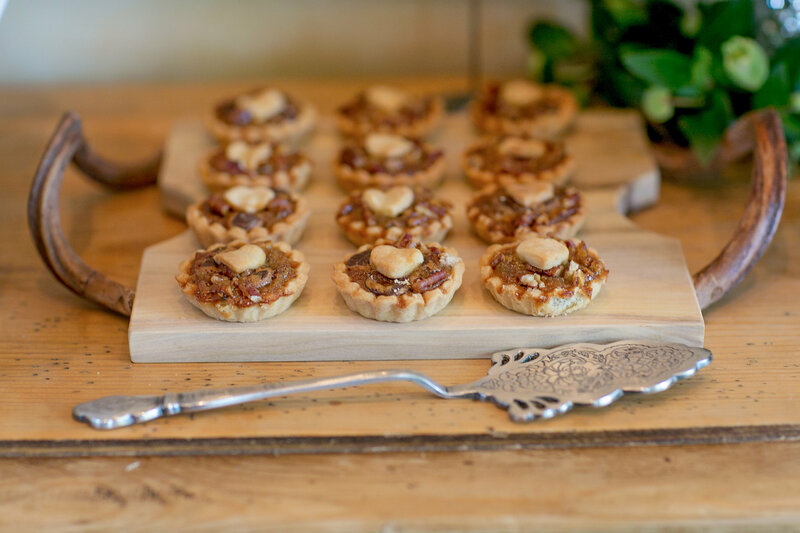 Our talented team of pastry chefs produces all of our products from scratch, the day of your event, using recipes that we have been developing for over 10 years in multiple markets. Plus, we are easy to work with! Our bridal consultants are responsive and flexible, bringing you solutions that fit your budget and are tailored to your personal style and preferences. 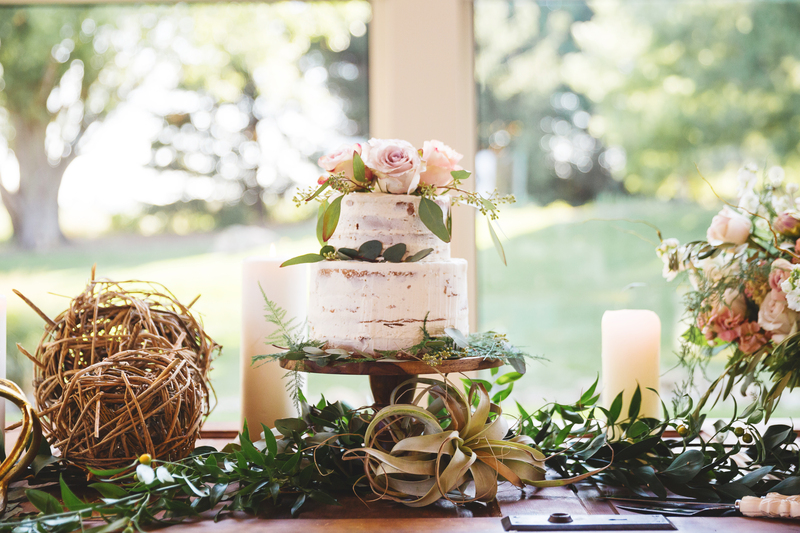 Q: What information should I have ready before reaching out to you for a wedding cake or dessert table? A: Knowing your wedding date and venue is an important first step that allows us to check our availability. Most clients reach out anywhere between 6-12 months before their event. After that, it is really helpful for us to get a sense of your dessert budget, the number of guests you expect to serve, and the style of dessert you are looking for. That way, we can make sure that the products and pricing we offer to you will be a good fit for your needs. Q: Where do I start looking for design ideas? A: Pinterest, Instagram, and wedding blogs are all popular places to look for, collect, and share images that inspire your wedding and dessert style. We like seeing your initial photos as they provide concrete visual examples of things that you like and don’t like. From there, we can talk about which design possibilities best fit into your budget. We will continue to refine your overall vision by sending you additional photos and sketches of cakes and desserts that you might like and could round out your design research. Q: How does design affect my cost? A: The more elaborate the design of a cake or dessert table, the more money you should be prepared to spend. In terms of cake, it is the tiered cakes, fondant designs, sugar flowers, metallic accents, and detailed piping work that can all increase your cost (sometimes dramatically) as they require far more labor and materials to produce than the simple, single tiered, buttercream party cakes you may be used to ordering. For dessert tables, you want to consider not only the desserts themselves (types and quantities), but also the design of the display. 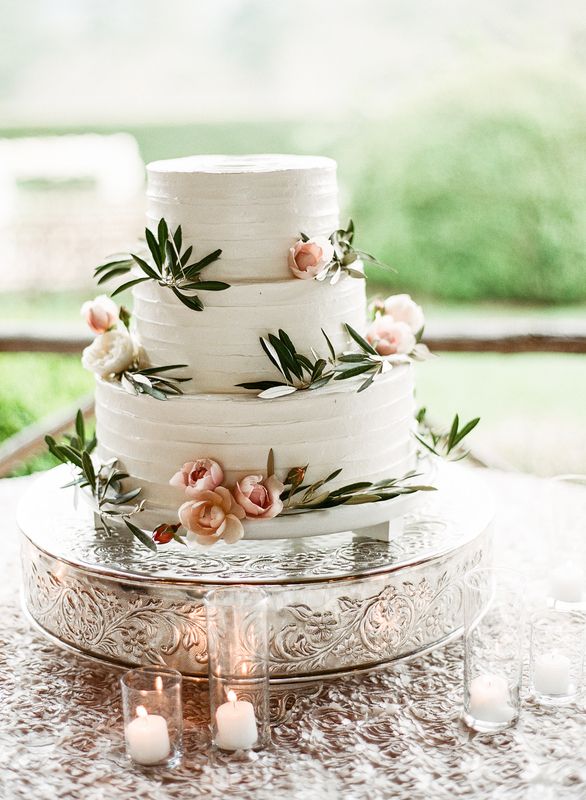 Buying or renting cake stands can add cost, and you also need someone to design your table, set up your desserts, and create signage so that your guests know what they are eating. If you (or a friend or family member) is creative, then a DIY dessert table can be a great way to save money. If not, you will want to be prepared to spend more with your bakery vendor to handle those details on your behalf. Q: Can you make different cake tiers into different flavors? A: Definitely! 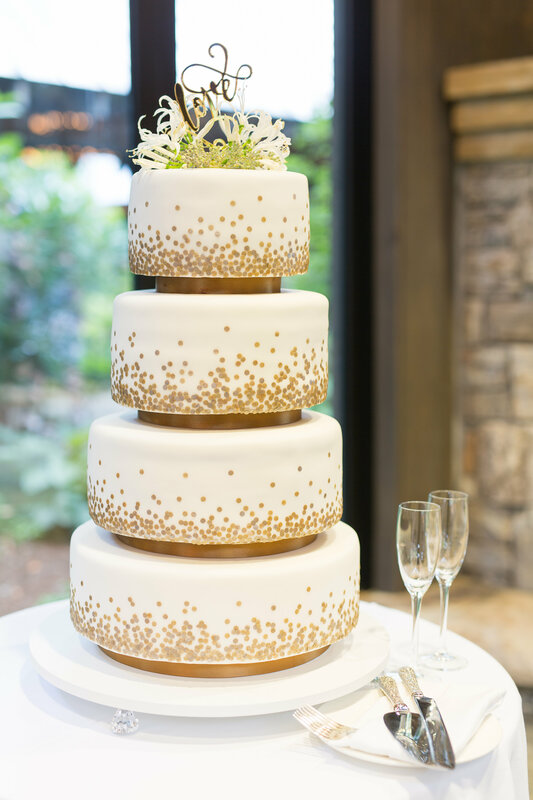 We have a long list of cake, frosting, and filling flavors and are happy to provide variety for your guests by allowing you to select different flavor combinations for different tiers. Q: What are Groom’s cakes? A: A groom’s cake is a popular Southern wedding tradition that allows the groom special recognition on a day when much of the attention seems to center on the bride. 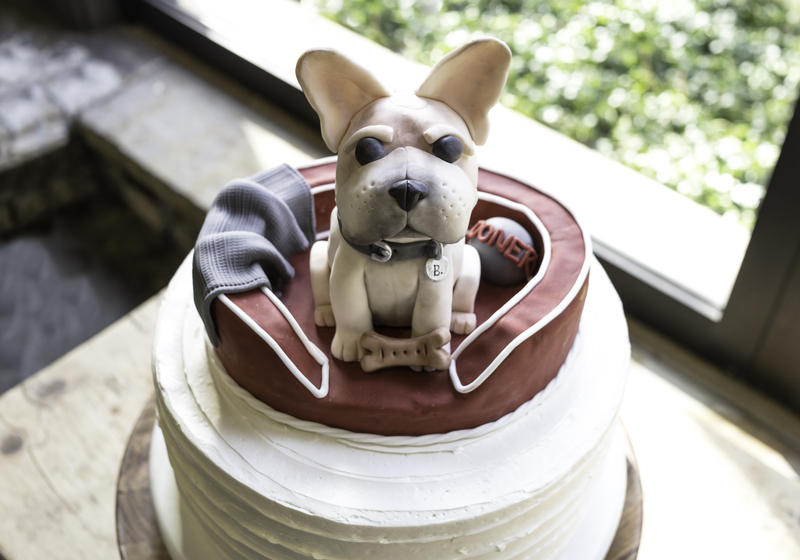 Although we call it a “cake”, the groom’s cake can also be a special dessert, like banana pudding, pie, or ice cream. Our goal is to make it all about the groom! Q: How many servings of cake or dessert should I plan for at my event? they are just generally serving a lot of food between dinner options and late night snacks. If most of your dessert will be coming from a dessert table, we suggest planning for between 2-3 pieces of mini dessert per guest. When you offer more variety, in terms of dessert types or flavors, you are encouraging your guests to try more options, even if they don’t finish all of them. So if you want to offer more variety to your guests, we suggest ordering larger quantities of dessert (maybe 3-4 pieces per guest). Q: Can you do edible party favors? A: Yes! 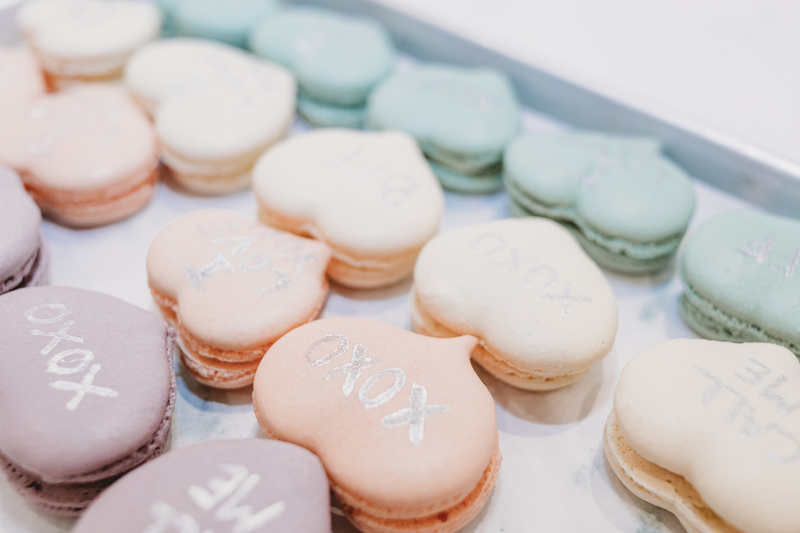 Favorite products for wedding favors and hospitality bags include french macarons, cookies & brownies, homemade granola and brittles, and homemade breakfast pastries, like cinnamon rolls. We also offer custom favors and custom packaging, depending on your needs and budget. Q: Can I put my cake outside? A: We don’t recommend putting real cakes outside. It is very difficult to predict and control temperature and humidity, and we want your cake to look great and be stable until you are ready to cut it. 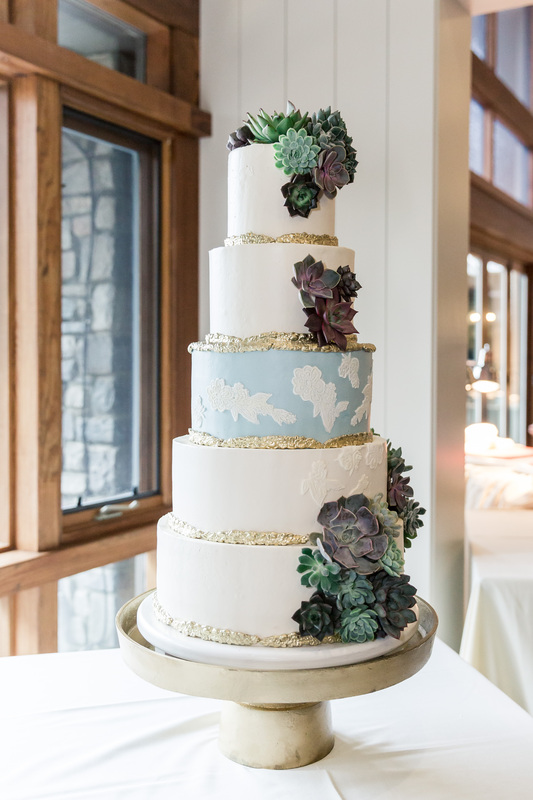 If you would like to put a cake outside, it is helpful to consider a faux display cake, accompanied by real cakes that are kept in the kitchen to be cut for serving your guests. If you are planning a wedding in an open air venue, we recommend avoiding frostings and fillings that are less stable, like cream cheese, curds, caramel, and jams. Q: Can you create custom desserts? A: Absolutely — we can customize both dessert design and flavor. Sometimes our clients have a favorite family recipe that they want recreated, and other times, they just want something very unique that we haven’t served at other events. Keep in mind that customization adds cost, so this would not be a low budget choice. However, we do test all of our custom desserts thoroughly before serving them at an event. That way, you can feel confident that our custom desserts are as delicious and as beautiful as our signature products. Q: What other services do I need you to provide? We are so excited to have this talented duo on our Creative Team, and can’t wait to see what all they create this 2019 wedding season.